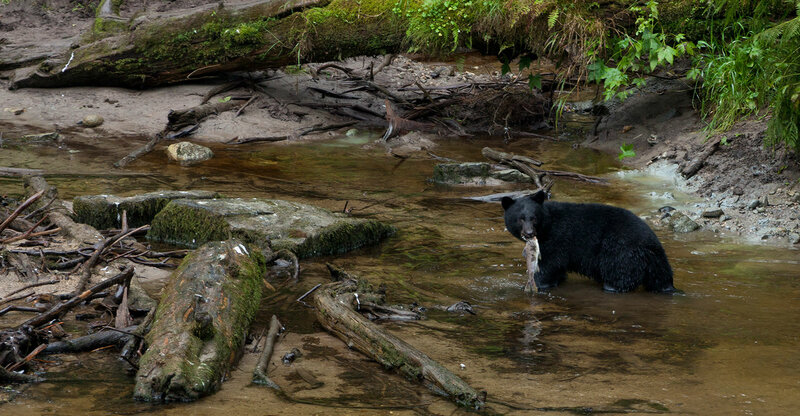 Do not miss this experience of seeing wildlife in their natural habitat! 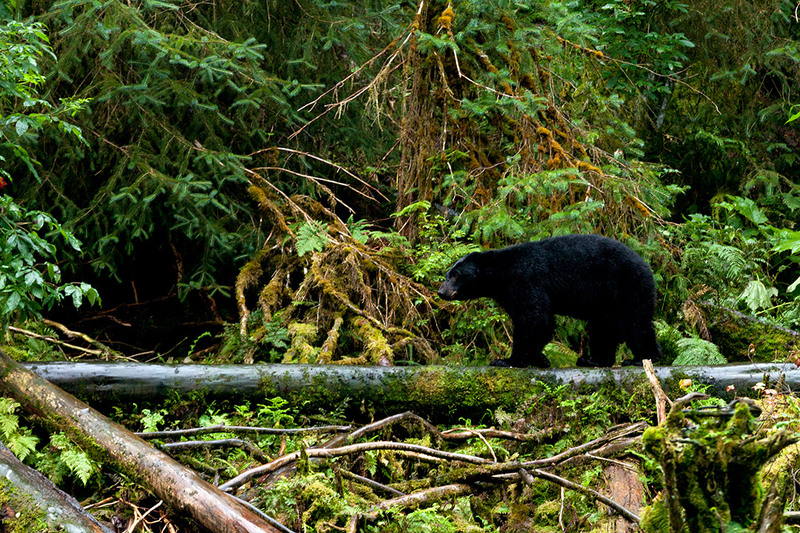 Bear viewing in southern Southeast Alaska is not to be missed! 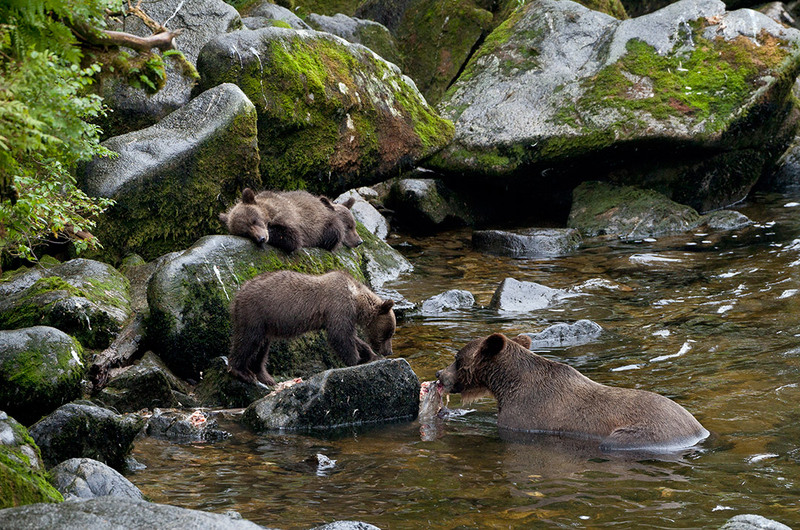 Each of our bear viewing sites offer a unique opportunity to view bears while salmon are traversing upstream to spawn. 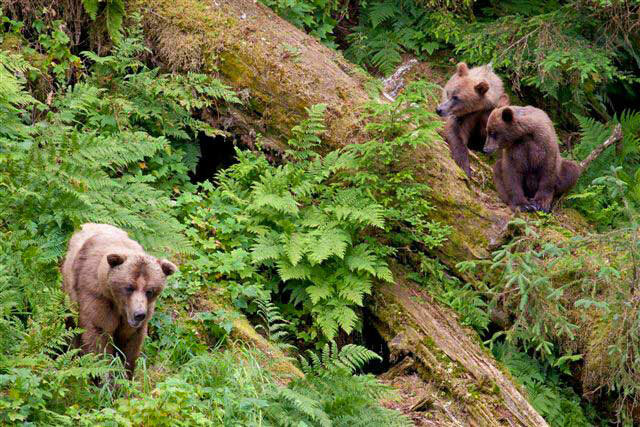 Unlike our traditional Misty Fjords Flightseeing tour, bear viewing tours are only operated from the end of July until the beginning of September for the best sights. Both sites are highly regulated through permitting and tend to sell out quickly so please let us know right away if you are interested. 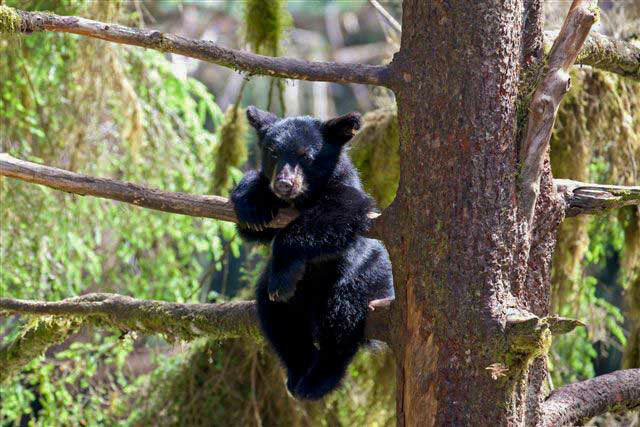 It’s your chance to visit the World Class Anan Creek Bear Observatory, known for its high concentration of brown and black bears living in their natural habitat. 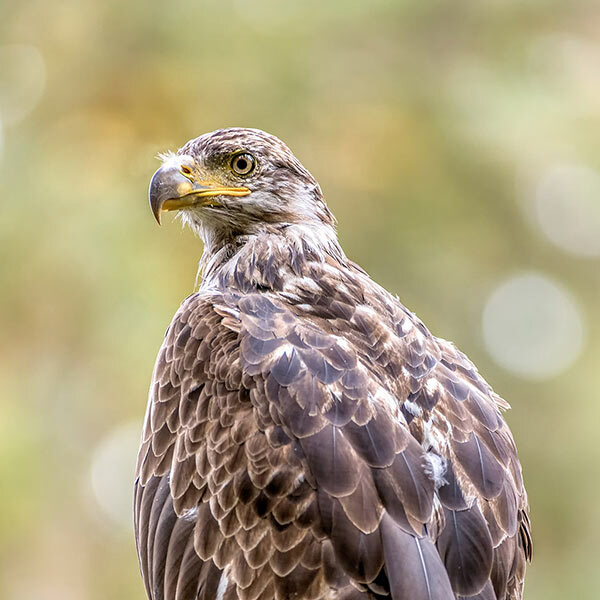 The Carlin Air tour is 4 hours in total length and includes a 40 minute flight each way to the site, followed by a 1/2 mile walk up a boardwalk trail to the Observatory. 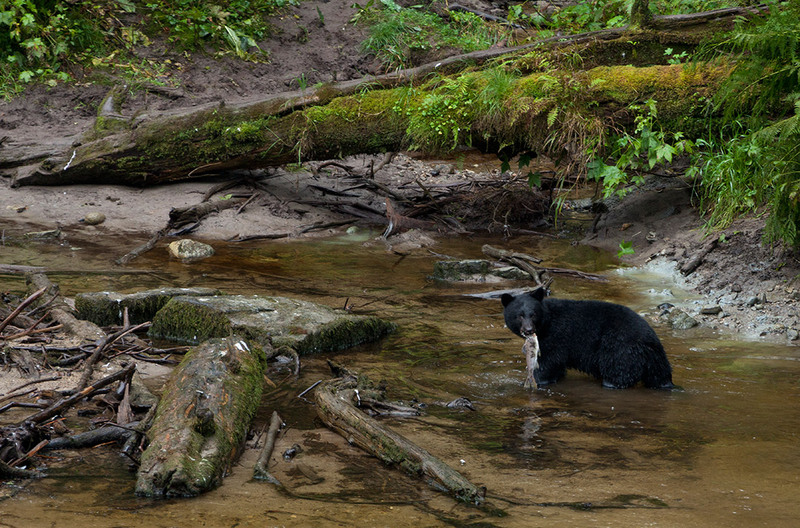 1.25 hours is allocated to watching both species of bears fishing for salmon as they make their way upstream. A highlight could be to see “Sows” (mothers) with “Cubs” (offspring) who are often sighted due to the abundance of food and protection. The Anan Creek observatory is permitted and on-site US Forest Service staff are available to answer your questions. 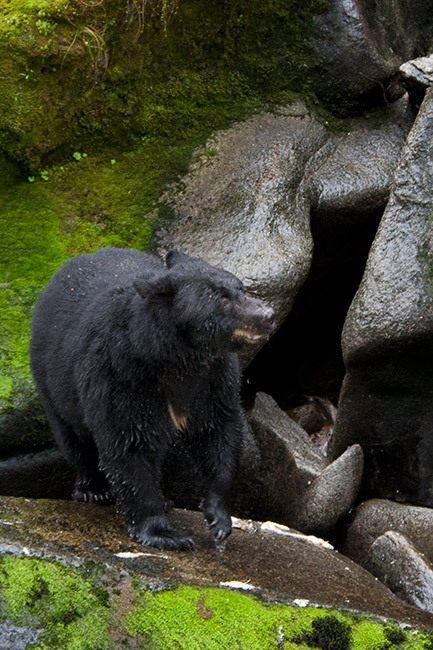 Visit the infamous bear viewing site at Traitor's Cove (Margaret Creek) as a great way to see black bears living in their natural habitat. The Carlin Air tour is 3 hours in length and includes a 20 minute flight each way followed by a 1 mile van ride to a trailhead. 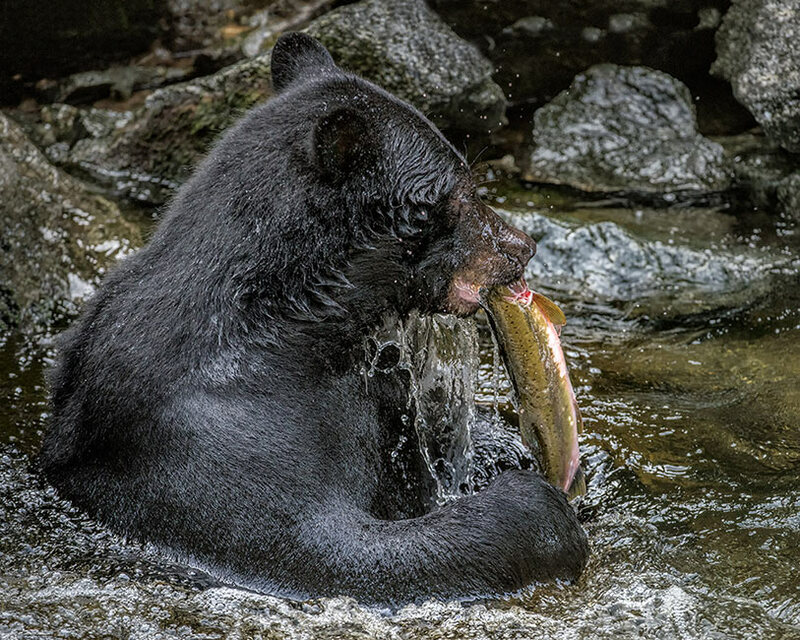 Then it is a short walk to the Observatory where 1.25 hours is allocated to watching black bears fishing as salmon make their way upstream. 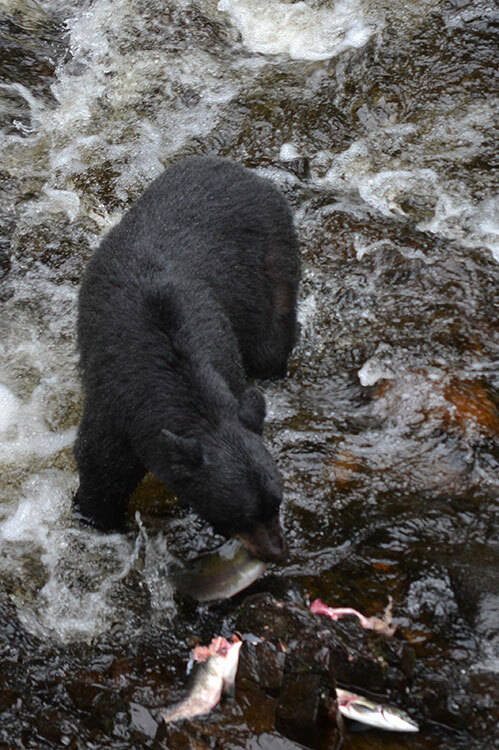 The bears know when the salmon have arrived as they munch berries near the creek and this site is well known for frequent sightings. The Traitor’s Cove (Margaret Creek) Observatory is permitted by the US Forest Service and a Carlin Air guide will be on site to drive you as well as answer any questions. 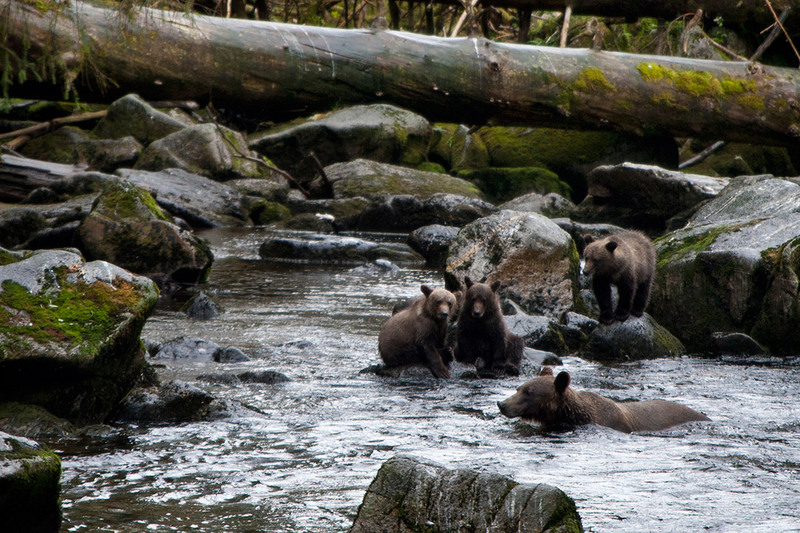 We hope you enjoy these photos from the bear viewing tours we service. Please note that these tours are operated under a special use permit and require advance reservations. We offer each passenger at Carlin Air a voice activated headset as a bonus to the flight. The equipment allows you to talk with other traveling companions, your pilot / guide or just listen while the pilot / guide narrates or plays music in the background - no boring pre-recorded tapes in a monotone voice! Complimentary transportation is provided at the start as well as the end of your excursion.